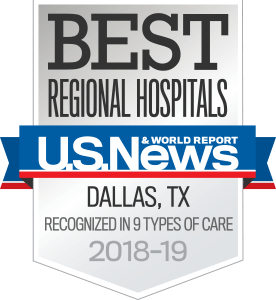 UT Southwestern Medical Center and Texas Health Resources have formed an integrated health care network, Southwestern Health Resources, which enables each organization to complement its current services with the resources of the other to better serve patients in the region. Our vision is to create a full continuum of clinically integrated care by joining Texas Health’s focus on primary, secondary, and tertiary care with UT Southwestern’s focus on tertiary and quaternary care. Patients will benefit from access to a larger network of physicians and caregivers, who will provide care in a coordinated and consistent manner, with patient health and trust always as the central goal. Southwestern Health Resources creates a network of a broad-ranging group of physicians who collectively provide improvements in health care services across a 16-county area. Through the network, North Texans will benefit from increased access to clinical trials. Learn more about Southwestern Health Resources.